Meet Ethan Charles, the winner of our Black Friday Member Spotlight Prize Package. According to him, he never wins anything. So, we’re happy for you Ethan! 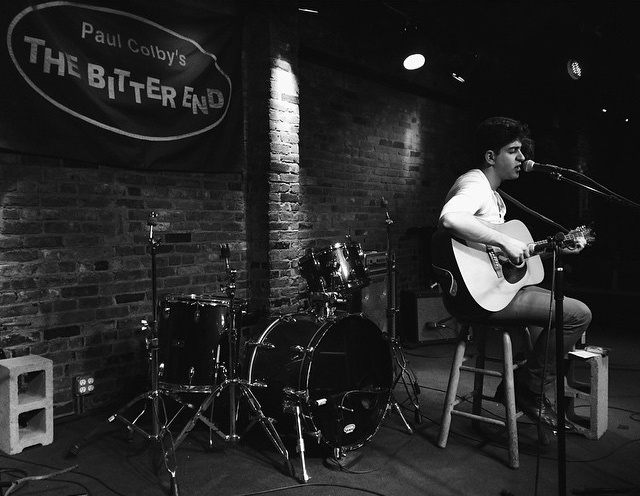 Ethan is a Brooklyn-based guitarist and folk singer/songwriter gigging across the greater New York City area. Ethan is a lover of basically anything creative and imaginative. From experimenting with different flavors in the kitchen, to traveling, to writing his own original tunes, Ethan puts his own spin on just about everything he does. Originally a South Florida native in his youth, the infancy of Ethan’s musical career can be credited to a case of sibling envy. His motivation to play came from his older brother who was learning the guitar. The music bug was contagious, and a simple childhood activity evolved into a passion. Soon enough, Ethan became part of multiple bands and combatted teenage boredom by gigging across his home state. Eventually, his stalwart individualism led him to forge a pathway to solo musicianship. More recently, Ethan has pursued studies in other arts including acting classes in New York City. He currently resides in the creative hub of Williamsburg, Brooklyn, where he works as a freelance writer and musician. While he loves acting and writing, music has always been his muse. Ethan finds it to be the only consistent outlet entirely of his own. Being a man of many influences, Ethan’s music reflects his eclectic upbringing and multi-cultural identity. As a Canadian-American dual citizen of French-Moroccan heritage, he is happy to call himself, “a walking version of a little kid’s ethnic Play-Doh mix”! Ethan’s sound is audibly aesthetic, and could be described as progressive, classically inspired folk music. It is infused with the academic intricacies of a studied professional, despite the fact that he was primarily self-taught. Largely inspired by the likes of Bob Dylan and Nick Drake, his sound is also reflective of musicians such as The Tallest Man on Earth. 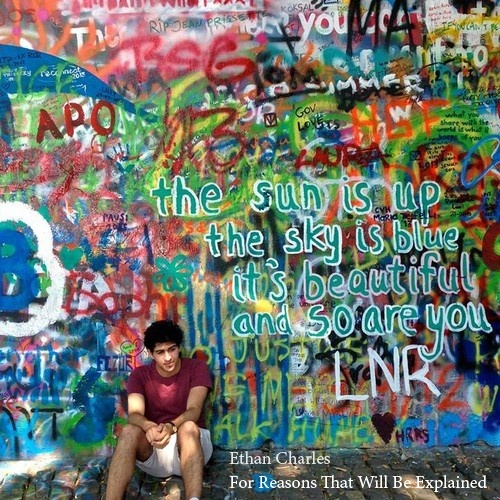 Ethan writes original songs that feature a peaceful, melodic fingerpicking guitar style and understated yet thoughtful lyrics. Curious to hear more? Check out his GigMasters Profile to hear his originals, and his latest EP! 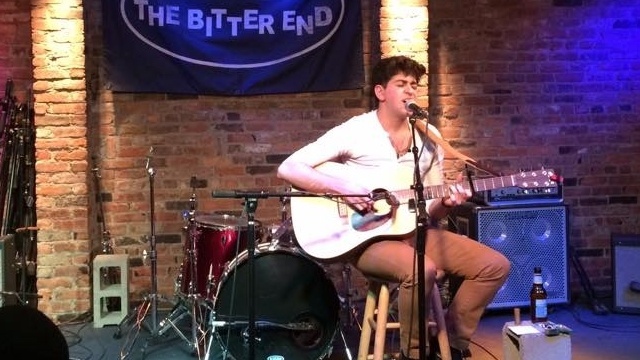 Ethan’s favorite gig was played at the Bitter End, an iconic music venue in New York City! The venue is famous for its intentional focus on music quality and appreciation, as well as for the influential musicians who have played there, including: Joan Baez, Bob Dylan, Arlo Guthrie, Neil Young, Stevie Wonder, and many more. Ethan’s style lends itself well to intimate events and venues like the Bitter End. Private parties, corporate events, and wedding proposals are among his favorite types of events to play! 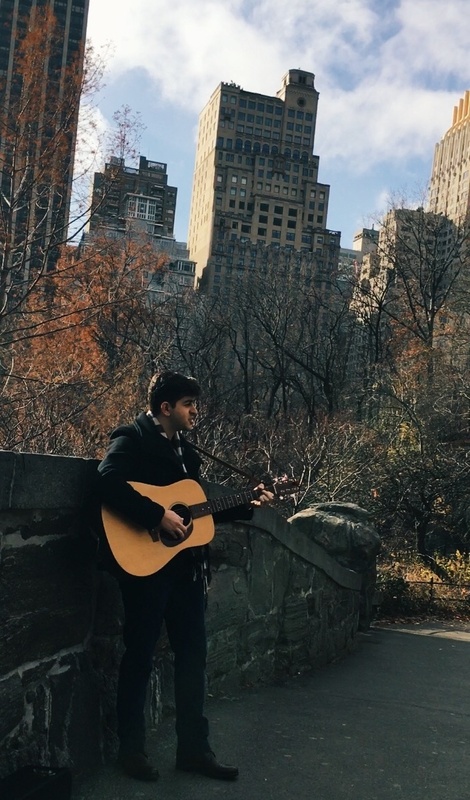 “I booked Ethan to sing for us as I proposed to my partner in Central Park. Right from initial contact, Ethan was extremely communicative and made sure that everything was in place for the day to go as planned. Ethan sang beautifully, the day really wouldn't have been as perfect as it was without Ethan. Could not recommend this guy enough!” – Dan H.
After seeing his impressive work, we asked Ethan for some advice on how to secure that all-too-important first gig. He explained that promptness and consideration of the client are key! His punctuality in responding to leads even earned Ethan a “GigMasters Rapid Response” badge! What’s next in store for Ethan? More gigs, more clients, and more music! He’s looking to meet the right people to help him get “discovered” in the ever changing music industry, and to get his original music heard by as many people as possible! Good luck Ethan, we’ll be with you along the way!